It’s a new year and we’re amping up our productivity with five new novels set for release in 2019! 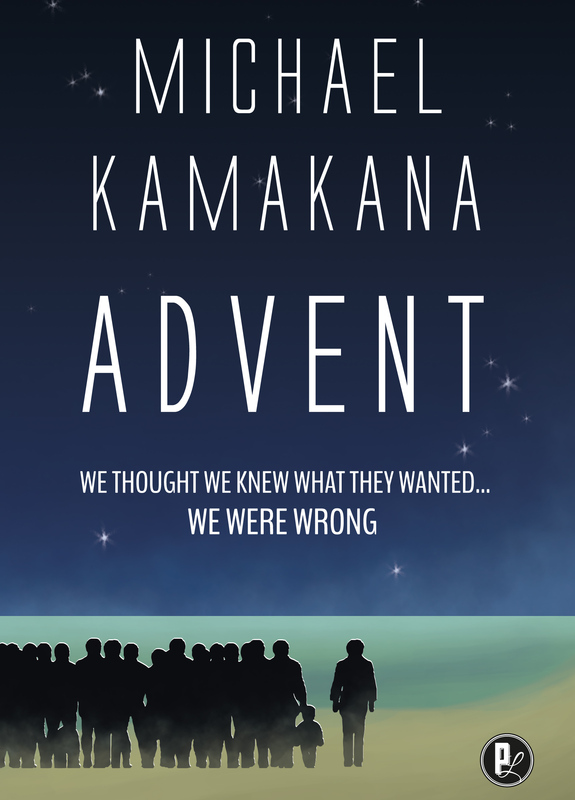 First among these is Advent by Michael Kamakana. We’ve been teasing our readers with this release for quite some time, but the day has finally come… Advent is now available for purchase on our website and Amazon! In honour of this momentous occasion, and to get a feel for the author and the novel, here’s an interview with Michael Kamakana, originally published along side an excerpt of the novel in Issue 19. Pulp Literature: What drew you to writing science fiction in the first place? interest in math and physics was… time to sleep. I was interested in fantastic escape that I could imagine possible. PL: What titles and authors inspired you in the early days? PL: What kind of philosophy books do you read? MK: I read almost entirely ‘continental’ philosophers of the 20th Century. My favourites at the moment are Maurice Merleau-Ponty, Edmund Husserl, Henri Bergson, Gilles Deleuze. PL: You and your protagonist both survive a coma. How does your experience with trauma influence your storytelling? MK: I always feel that when I truly understand any teaching or experience is when I can write a definitive story inspired by it. For now I keep writing, I keep hoping that someday I will understand the coma. PL: You call the stories ‘essays.’ Why is that? Do you feel that each section is a separate topic? MK: Well, the ‘reset’ and ‘reserve’ sections came first, and I was inspired by Munif’s ‘Endings’ to use the collective pronouns of ‘we’ and ‘they.’ Gradually both collapsing into ‘some people’, they have generalized, removed, clinical renderings of the times, not much identifiable personal psychology. I think ‘essays’ could be thought ‘fictions’ like Jorge Luis Borges. PL: You’re a prolific writer. Do you work on more than one novel at a time? MK: Actually I have about seven works at various stages and interest, with more ideas percolating. point of view of the narrator of your novel? MK: I went to the islands about every winter as a child. We lived on the windward side of Oahu for a year in high school, and Father was working at the University of Hawai’i at Manoa. I still go every February to my mom’s hometown, Waimea, on the island of Kaua’i. I can pronounce words in Hawai’ian but cannot converse. I guess I am multicultural as my background is usually one of the first things to learn about me. But I am fortunate that in Canada I look mostly like a dark white guy, whereas in Hawai’i most people recognize me as part Hawai’ian. So, I have never faced much racism here in Canada. I always identified with the ‘Indians’ in Westerns, with indigenous peoples anywhere. And this work was inspired by reading Red Gold by Hemming, which recounts what happened when the Spanish and Portuguese contacted Brazilian indigenes. I just decided to reverse polarities and think of us humans as the technologically primitive and the aliens as the invaders. Only the start is set in Hawai’i. Most of the essays are not localized as generic North American. The biographical passages are many places. As a beginning, I remember the fear of nuclear war coming to end everything on a beautiful day in Waimea, so this Advent is a different end of the world. PL: Did you always want to be a writer? MK:I knew I was going to be an artist of some sort, only gradually did I realize it was going to be writing. Father’s elder sister is an author, Father’s younger sister was a visual artist, so this has always been possible, valued, and I suppose reading the first story in my aunt’s first collection clarified my desires to do narrative prose. On the other, I have for many years avoided using my family as material because that had upset Father early on in his sister’s work. their lives, about aliens, about our many assumptions? MK: I hope readers are entertained, are even just momentarily inspired to see themselves and all other humans from an ironic perspective, an existential and historical attitude. MK: Actually the change developed during the writing: I knew the biographical sections would come down to ‘he’ then ‘I’, but only discovered what the aliens want at about the same time I wrote it. I have always had high expectations of myself and limited beliefs in myself, so I am first happy it will be published, then reconciled somewhat to the losses of the coma. Basically, like the aliens decide: I do not know what I would be if not an author. Get Advent on sale till February 15th and be among the first to read this stunning debut novel.